Click Here To See Sonny’s Player Piano Video! Sonny’s Pianos is proud to announce our line of player pianos. We can now get you brand new ebony or mahogany gloss baby grand pianos with player systems that are factory installed and we also can retrofit either the Pianoforce Player System or the Piano Disc Systems into any of the pianos you see here in our Piano Gallery. For more details and prices call Sonny Direct at 631 475-8046. Here in this video tour we are featuring a Beautiful High Gloss Ebony Young Chang 5’3″ Baby Grand Piano, that we have just put a Pianoforce Player System into. As with all of our pianos there is Free Long Island/NYC delivery. All else continental USA only $475. Warranty. Questions? Call Sonny Direct at 631 475-8046. 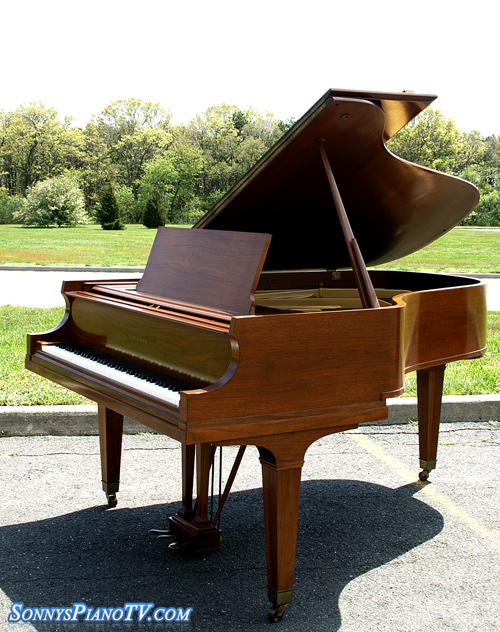 Wurlitzer Baby Grand 5′ Ebony Gloss 10 y/o. Like new! Great tone and action response. Good candidate for player piano installation. Free LI/NYC delivery. Only $475 delivery and set up the rest of the continental USA. Questions? Call Sonny Direct at 631 475-8046.